Let New Roots help you get established. 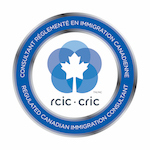 Welcome to New Roots Immigration Consulting Inc.
New Roots Immigration Consulting Inc. is a Canadian Immigration Consulting Company based in Vancouver, Canada and has provided its clientele with over 30 years of Immigration experience. We provide professional & personalized service, honest & trusted advisement, fast response times, and reasonable payment rates. We specialize in Family Sponsorship cases and have experience dealing with Immigration matters from Economic Programs, Temporary Residence, Labour Market Impact Assessments and Business.